Operating under the American flag, the vessel has a single-tier engine room is designed to cruise through the water with less resistance. 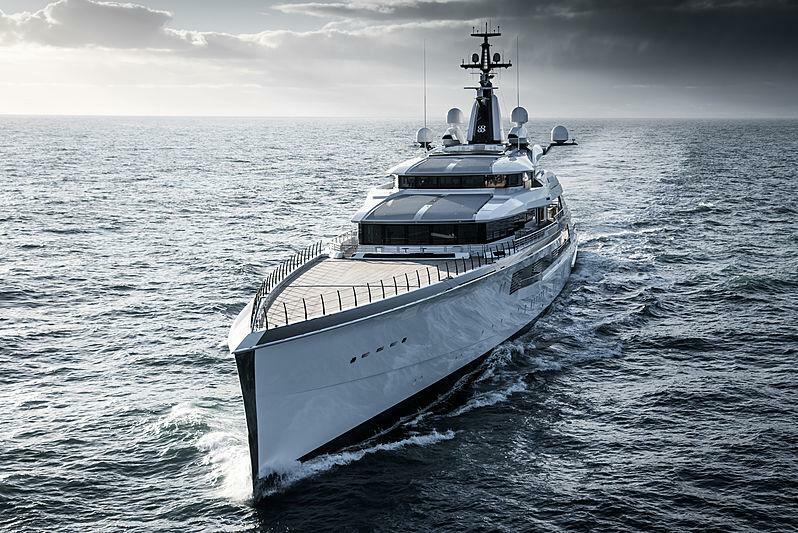 "Coupled with her hybrid propulsion system,” explained Lateral Managing Director, James Roy, “Bravo delivers exceptional performance and is configured to offer multiple operational modes, each matched to the variable operating profile of a yacht designed to adventure autonomously across the world's oceans." 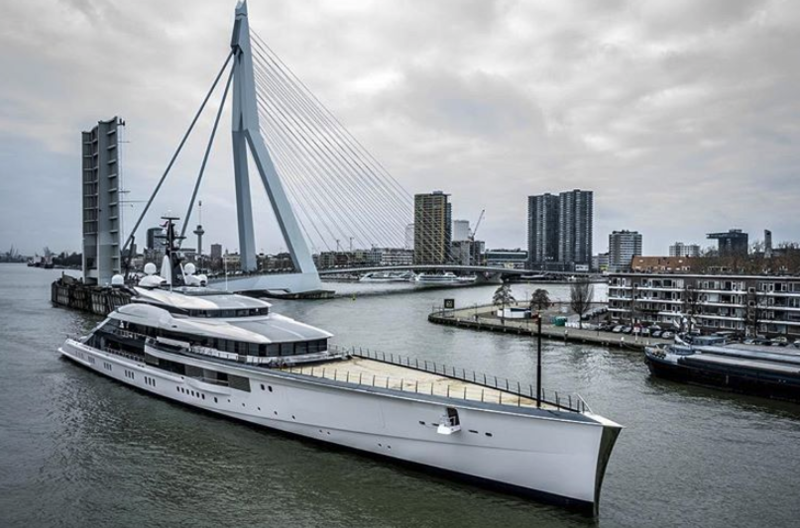 The vessel has two helicopter landing pads (one on the bow and another on the stern), a large tender garage underneath the foredeck, a fitness center with sauna, steam rooms, hot tubs, and a pool. The ship's design is of Nuvolari Lenard while Burgess operated as the owner’s representatives during the construction build. Reymond Langton Design, a design studio specializing in superyachts builds, designed the interior which has elegant style with light woods and lacquered surfaces. 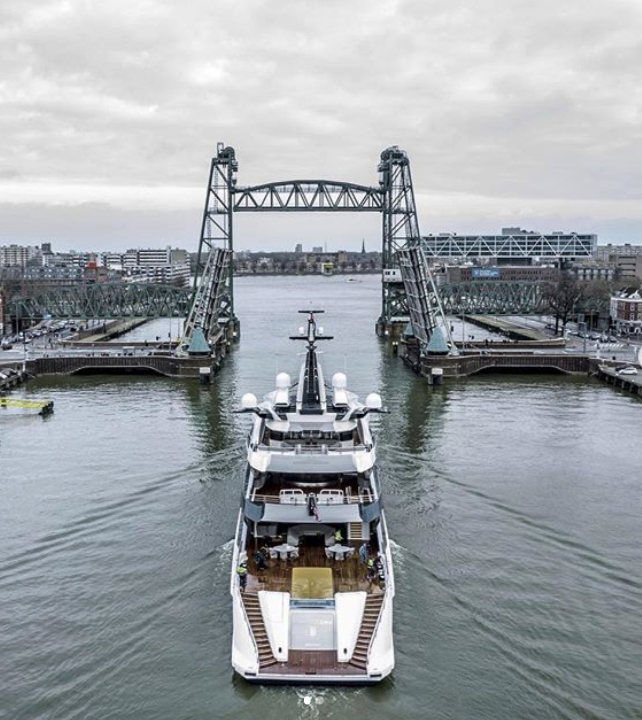 "We worked very closely with the owner to find the perfect artisans and craftsmen in creating bespoke artworks, fabrics and signature furniture pieces that reflect the owner's style and essence and combine to create a warm, inviting environment for all on board, " said says Pascale Reymond, a partner at Reymond Langton Design.